Scroll down to the Oxford Owls link where you can read Big, Bad Bug. Here are a few links to phonics games that will help you practise the skills we have been learning in school. 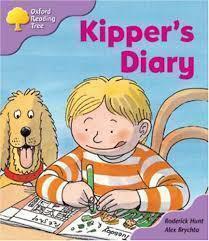 This week your child has been reading Kipper’s Diary. This story is available as a free ebook on the Oxford Owls website. A link can be found on our school website along with Username and Password details. Thank you for your supporting your child at home. Oxfordowl.co.uk is a useful website to help your child with reading at home. Many of the books featured link to our Phonics and Reading Scheme. We have been reading The Toys Party in school this week and this is one of the free ebooks available in the website. I have set up class login details that you can use at home. Go to Oxfordowl.co.uk and click on My class login. Enter the username ReceptionAO followed by the password Blaengwawr. Click on My bookshelf and you will see lots of free ebooks that are available. You can scroll down to find The Toys Party although many of the books before will support the work we have been doing this term.